There was once a wise old priest who told me that part of being considerate means supplying all the details of a story. So, when someone asks you, "How was your trip?" you're not really being a friend by replying with non-answers like "It was okay." I carried that piece of advice with me ever since, which is probably why my posts go ON and ON. 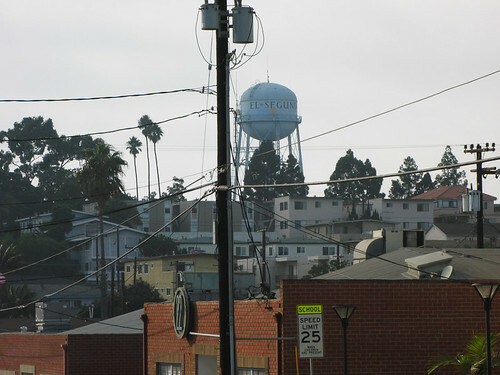 And now I'm excited to write about my experience in El Segundo, California-- what some Americans might consider a "sleepy town." 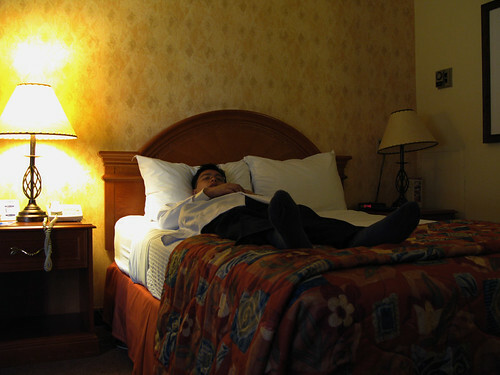 But I wanted to be fair to it, since I spent five whole days there and I've come to like it, mostly. I think I've got it down, at least as best as a non-El Segundian (?) would be able to describe it (I'd dare say this will be the longest any nonresident would write about El Segundo). I cracked myself up quite a bit thinking of alternative slogans the city council might be able to use. I publish the mock-up I created up there with nothing but affectionate joshing. El Segundo and I are like this (imagine I'm doing cutesy things with my fingers). First off: the hotel. 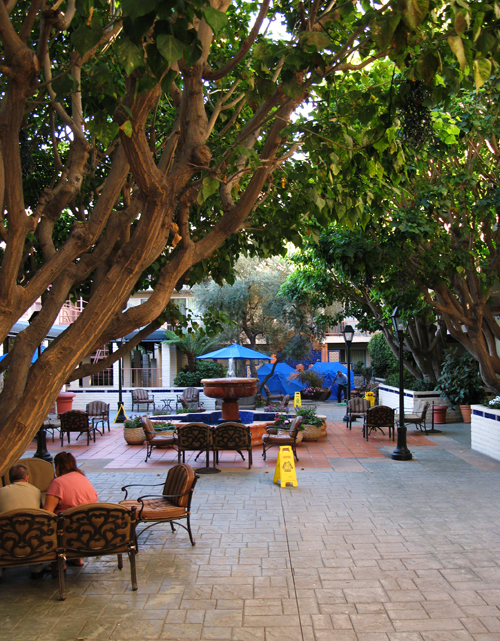 I stayed at the Hacienda Hotel, which was relatively inexpensive for the Los Angeles area and only a ten-minute walk north of my testing center. It has free wireless internet (which I wasn't able to use-- d'oh!) 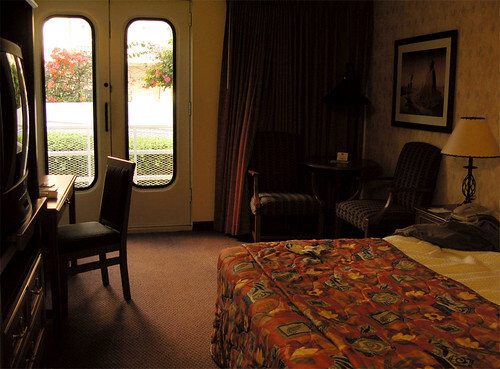 and the rooms are quite comfortable. I could've used some Bravo, The CW, or Comedy Central but I'll just get my PR, ANTM, TDS and TCR fix off the internet one of these days. I thought there might have been a problem with them double-charging my credit card (as I'd reserved off Hotels.com) but it turns out, the concierge was talking about the floating charge for incidentals. Yeesh. 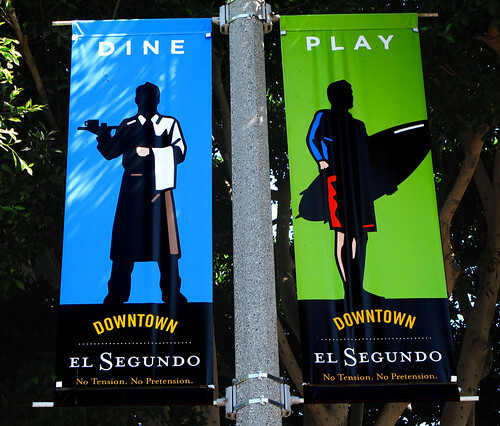 El Segundo, in a nutshell, is Sepulveda Boulevard and Main Street, connected by a residential/industrial area. A huge part of it is the Chevron Oil Refinery Park, which you can see at the left side of the photo, and a golf course, The Lakes, at the right. Every day I made a 25-minute trek south from the hotel to Borders Books and Music. Marvin told me as he was driving us down Sepulveda: "I don't think this street is walkable." Well, he's half-right. For most of the day, I was the only pedestrian, which is kind of creepy-- the opposite of San Francisco, and the Philippines. There are barely any trees too, so I got quite a tan. People there rely a LOT on cars. Me, I've got nothing but time. As you can see, the daily walk was worth more than the calories I burned on it. I bought a Magical Mystery Tour/ Abbey Road/ Let It Be songbook, and DVD sets of The Office, 30 Rock, and Extras. I got a Whole Foods reusable bag. Unfortunately, I can't take home anything fresh, so buying a shitload of fresh fruit and vegetables wasn't an option. Also in the Plaza El Segundo Area was Costplus World Market, Linens And Things (closing out), Best Buy, PetSmart, Banana Republic, J. Crew, and a few other boutiques. 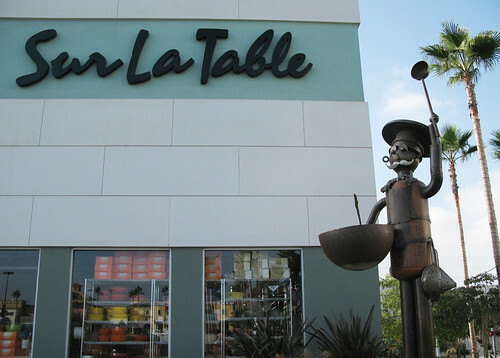 Of course, there is the magical Sur La Table-- but I bought my kitchen wants (acetate, cast iron pan, crumpet rings) at Surfas when Marvin, his wife and I chanced upon it. The scenic water tower greets you. It doesn't rain much, does it? The temperature was 15-25°C (60-77°F), which is quite comfortable by my standards. I hated that there was little shade, though. 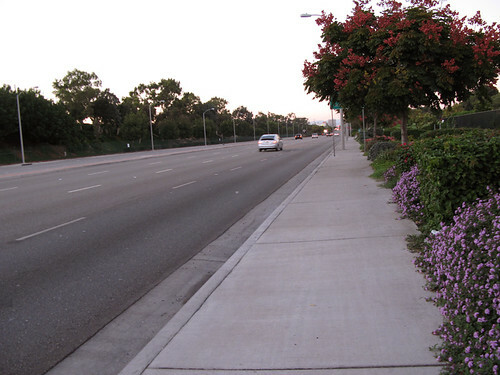 The two pictures above are some of the places you might see on your way from Sepulveda to Main Street, which is 25 minutes walking west. I'll talk about Main Street on the next blog post. Even in the residential areas, before 5PM, it looks like a ghost town. I guess I'm the only bum? 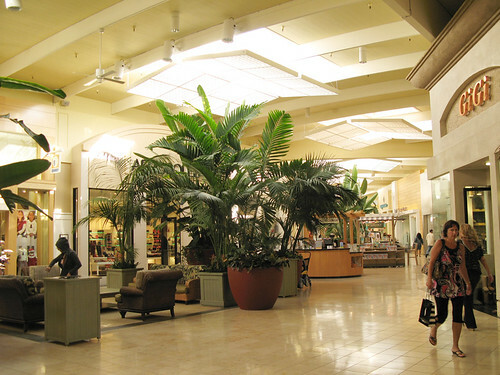 Just crossing Rosecrans Avenue south of Plaza El Segundo, you'll find the Manhattan Village mall in Manhattan Beach, which has a Macy's and a Williams-Sonoma, among other shops. Unfortunately, sidewalks and crosswalks are closed between El Segundo and Manhattan Beach, so drivers win again. I was only able to go when some friends picked me up. The day after I arrived, Marvin and his wife picked me up at the hotel to take me to Father's Office at Helms Avenue, Los Angeles. Marvin was quite impressive with his knowledge of brews. I'd say it was an intimate knowledge, har har. They are so funny and cool and I had a great time (even if Marvin was apologizing all the time for Lord knows what! Dude, I seriously enjoyed myself and thanks for lunch!). He asked me a few tough questions which I should really know the answers to. We also talked about food (of course!) television, work, life, politics and how all my knowledge of it is derived from comedy shows like Saturday Night Live. 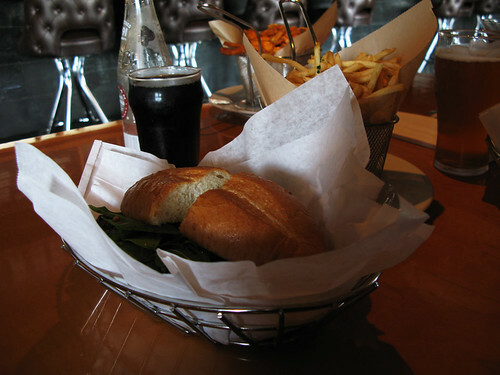 The burger is reputedly one of the best in LA, and I think that opinion is absolutely right. It had onions caramelized in bacon fat. I mean, come on. I even loved the sweet potato frites, something I hate here. 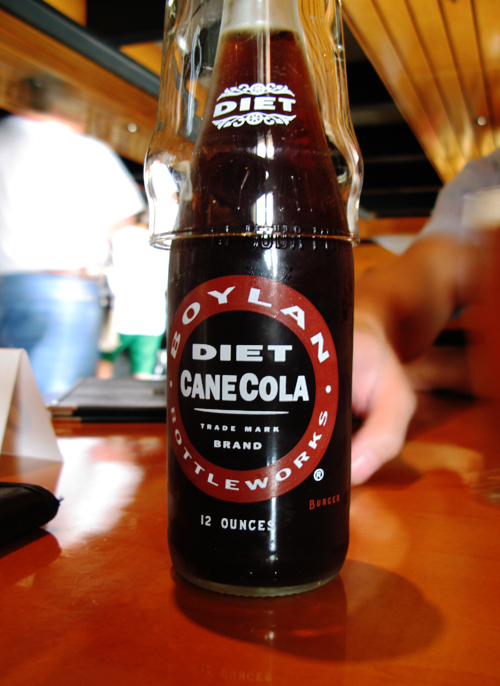 The cola is a diet cane cola. We were quite puzzled by that oxymoron. But it was really good-- it had a rootbeer-like kick. 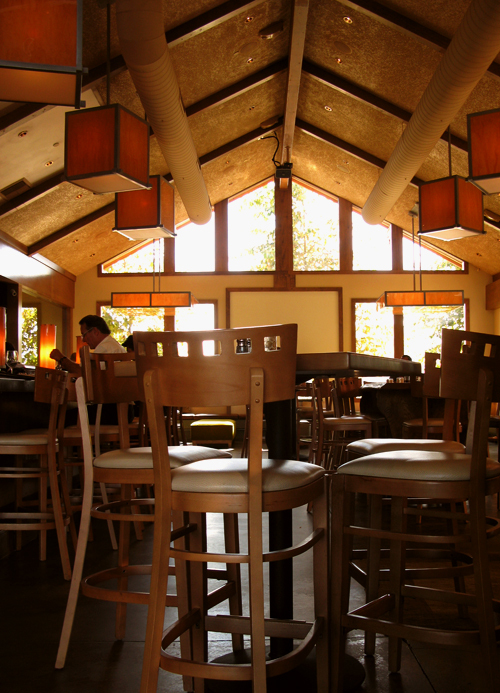 We spent quite a bit of time at Surfas afterward. 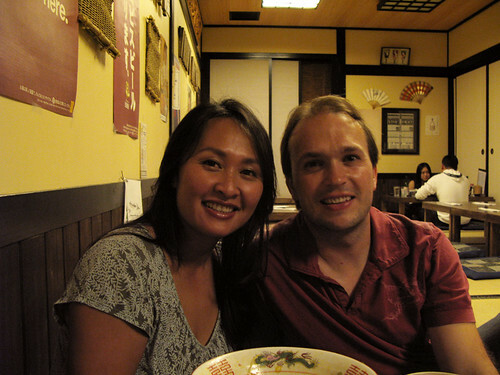 After a brief nap back at the hotel, Todd and Diane of White On Rice Couple picked me up for dinner at Honda Ya in Japantown (Downtown LA). There was so much good food (buttered cod and grilled prawns, arrrrh) but for some reason I forgot to take a picture of even one dish! Where do I surrender my food blogger card? Anyway, these two are every bit as friendly and lovely in person as they are in their blog and videos. They gave me a pep talk for my exam the next day, which was really sweet. I'll have to wait till next time to see if Todd can counter my anything-goes martial arts, ha ha ha. 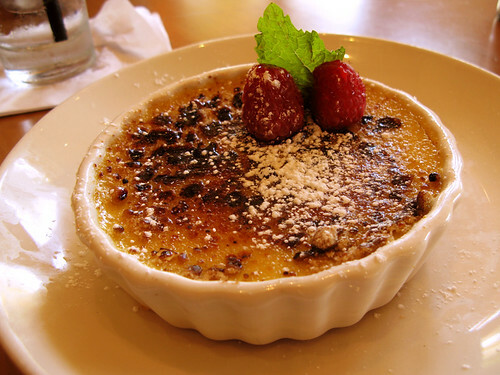 For lunch on Wednesday, I met up with my friend Tina (who had been living in California now for a few months on an observership) at Salt Creeke Grille, which was also in Plaza El Segundo. 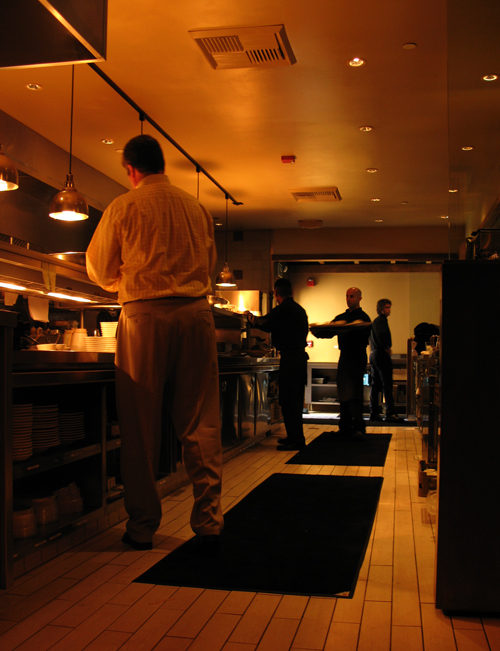 We were a bit intimidated by the ambiance but the prices were quite reasonable. 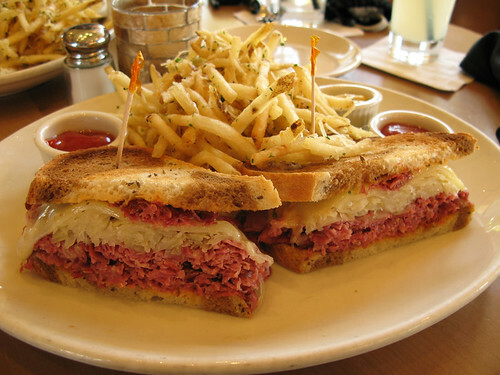 I ordered my first Reuben ever, and while it tasted good and I finished the whole sandwich, I'd have to say sauerkraut is not my thing. Too sauer. 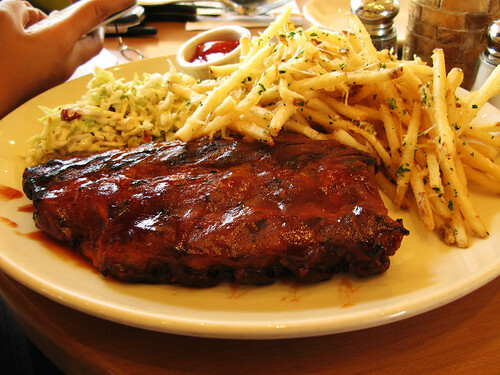 I'm craving the ribs Tina ordered now, and the fries too. Their barbecue sauce is not the best or most unique I've tasted but the thin layers of fat running through the ribs really made a difference. 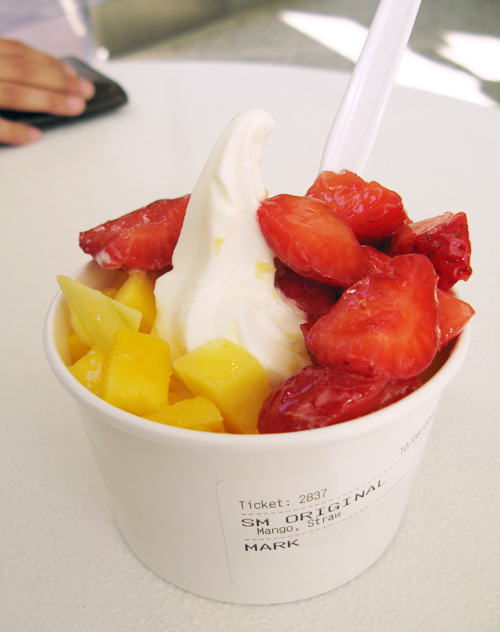 For a snack later that day, we ate at Pinkberry, also on Plaza El Segundo. Each cube of mango was a hit-or-miss. I've been spoiled by the mangoes here in the Philippines, of course. 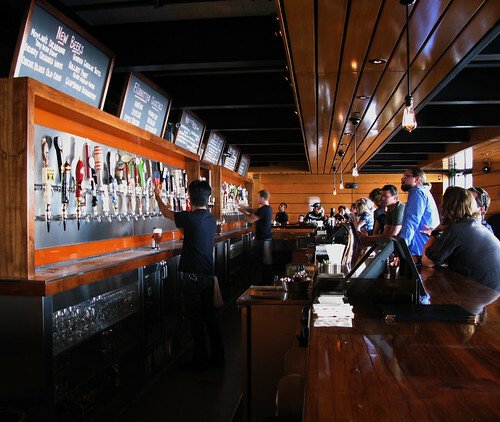 One thing I noticed about the people in El Segundo is that they were a lot more guarded and not as friendly as the people in San Francisco, which I suppose would be expected, as the latter is primarily a tourist destination. But I felt kind of let down by the fact that I was the friendliest person in the area. The ghost town aspect of El Segundo probably wouldn't bother many of you, as you'd probably roam around town in a car, but for someone who enjoys the simple pleasure of walking around town, it made me feel uneasy. I joked that at least I'd see a mugger coming at me from a few minutes away. Me goofing around after my exam-- I'm so exhausted! 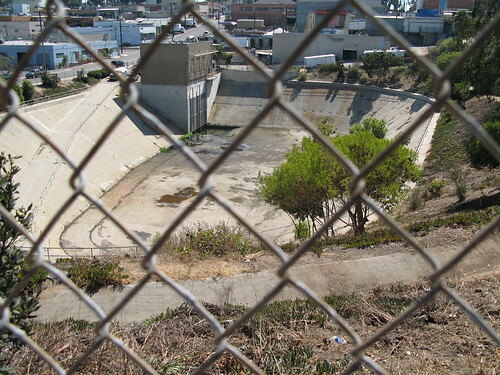 Next update: Downtown El Segundo, and a little bit more of L.A., where I surprised myself!